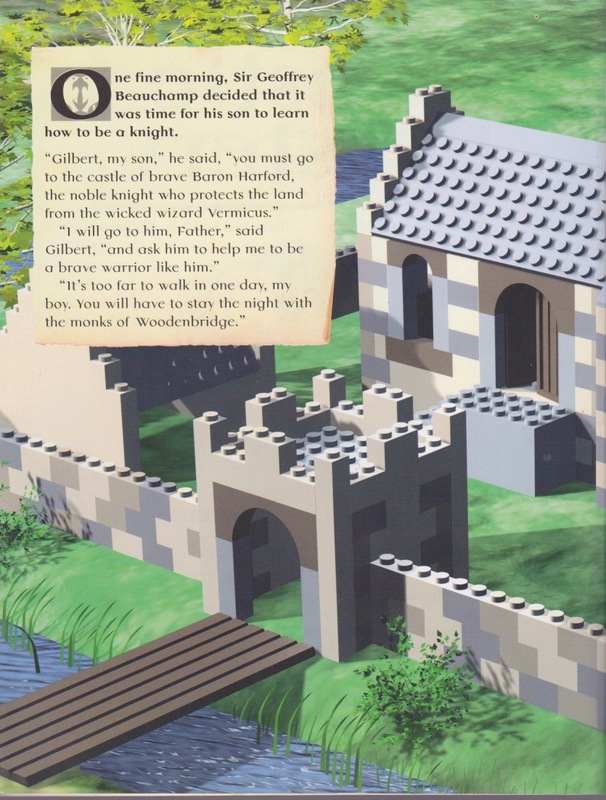 The Lego Castle Mystery book from DK is an interactive game story book (analog not digital) published in 1988 and based loosely on the Lego Castle theme. 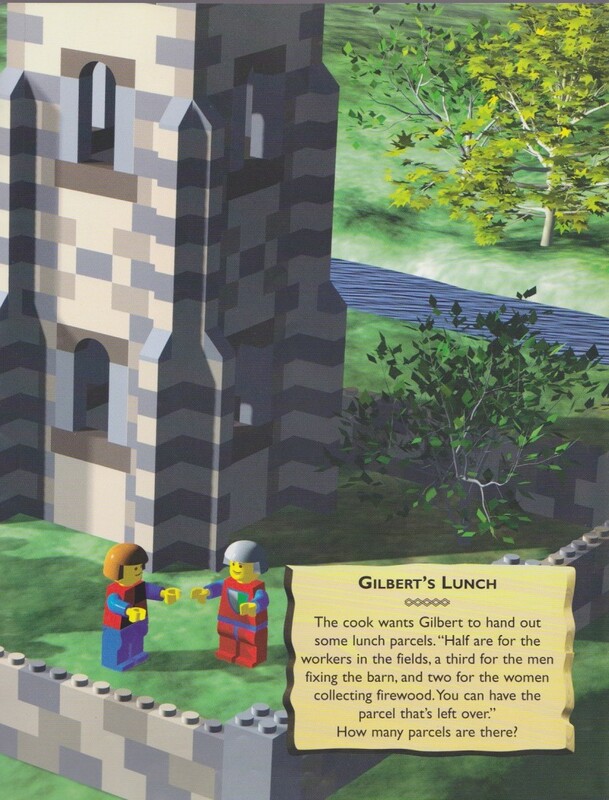 Written by Dave Morris and Illustrated by Philip Nicholson it allows young Lego fans to read through the story, examine the computer generated Lego pictures and then set about solving puzzles in order to save the castle. The vocabulary is aimed at intermediate readers (7+) who must solve word problems using math and logic. If you would like your own copy of the book you can still purchase second-hand copies on Amazon.com.